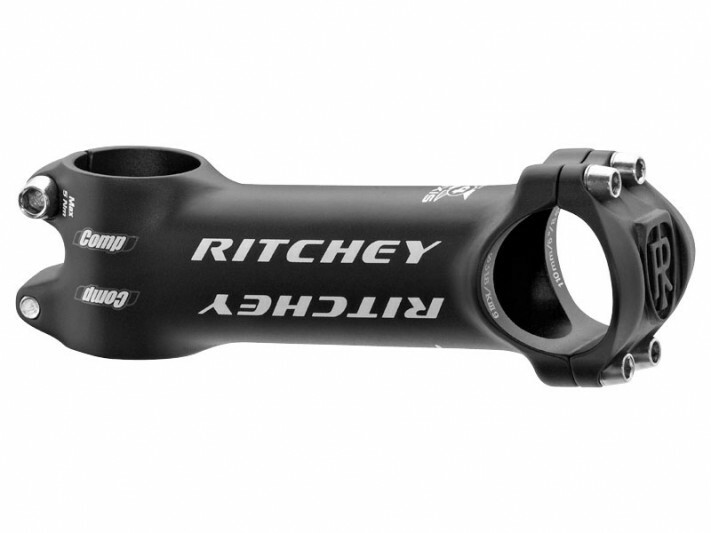 The Ritchey Comp 4-Axis Stem is made of 3D-Net Forged 6060-T6 alloy and features a 4-bolt 44mm faceplate to better distrubute loads. The Angled steerer clamp helps prevent damage to lightweight aluminum and carbon steerer tubes. Has a bias cut clamp slot for a more secure, pinch-free hold of alloy and carbon steerer tubes. 84° angle. 31.8 mm clamp diameter. 1-1/8 inch steerer tube.